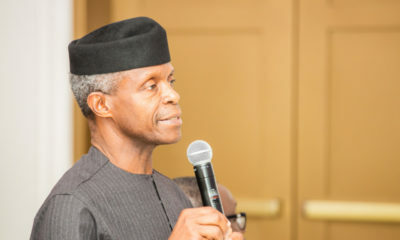 Vice-President Yemi Osinbajo has met with the Secretary to the Government of the Federation (SGF), Babachir Lawal, barely an hour after the announcement Lawal’s suspension from office. 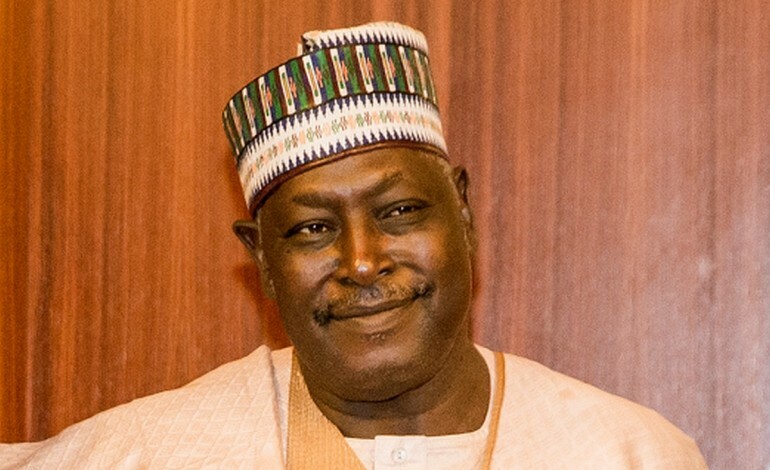 The closed-door meeting is connected with the work of the Presidential Committee set up to investigate allegations of misconduct against the SGF. The SGF refused to comment on the outcome of his meeting with the Vice-President when probed by State House Correspondents. The Director-General of the National Intelligence Agency (NIA), Ambassador Ayodele Oke, who was also suspended, was seen around the Vice President’s office immediately after the departure of the SGF. The NIA boss, who noticed the presence of State House correspondents, however turned back and attempted to pass through Vice President’s exit gate. He was prevented from going out through that point by security officials; the security also stopped the DG from passing through the service chiefs’ gate. The NIA boss later left the Presidential Villa without seeing the Vice-President. President Buhari on Wednesday ordered Lawal’s immediate suspension pending the outcome of investigation on allegations levelled against him. Media and Publicity Special Adviser, Femi Adesina, said the president ordered an investigation into the allegations of violations of law and due process made against the SGF, in the award of contracts under the Presidential Initiative on the North East (PINE). The President also ordered a full-scale investigation into the discovery of large amounts of foreign and local currencies by the Economic and Financial Crimes Commission (EFCC) in a residential apartment at Osborne Towers, Ikoyi, Lagos, over which the National Intelligence Agency (NIA) made a claim. “The investigation is also to enquire into the circumstances in which the NIA came into possession of the funds, how and by whose or which authority the funds were made available to the NIA, and to establish whether or not there has been a breach of the law or security procedure in obtaining custody and use of the funds. The President has also directed the suspension of the Director General of the NIA, Ambassador Ayo Oke, pending the outcome of the investigation,’’ the statement added. Took forever to happen it now looks like a forced decision/step on the part of the president. 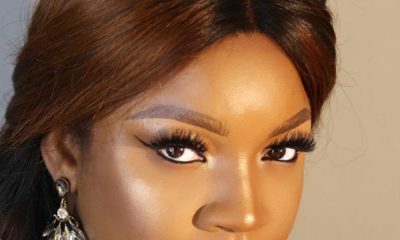 When will home boy Burutai answer to his own allegations?